After a five month hiatus, the layout returned to active status with Op Session #8 including fellow NSMR members Michael, Kyle and Philippe. 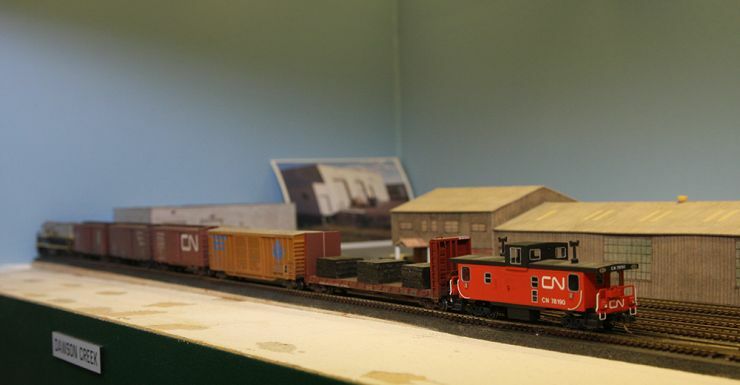 This session featured new locomotive 807 and ten new freight cars making their operational debut, as well as introduction of the NAR transfer job at Dawson Creek. Nine new freight cars have joined the fleet, including a second PGE chip car, five U.S. road boxcars, and three new tank cars. 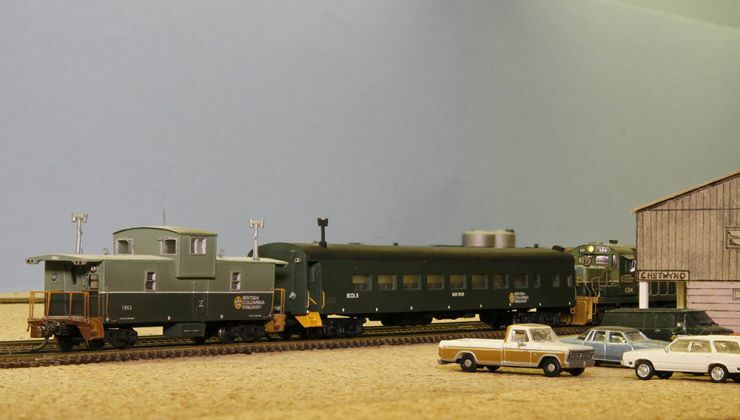 With the exception of the PGE chip car, these are all ready-to-run cars which have received metal wheels, body mount couplers, and some weathering. 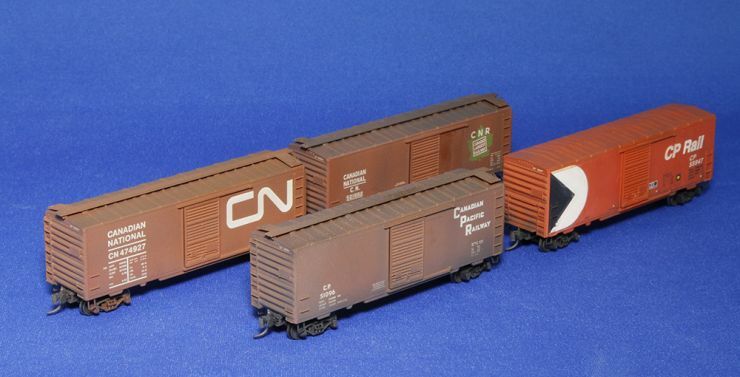 Three new freight cars have joined the fleet. 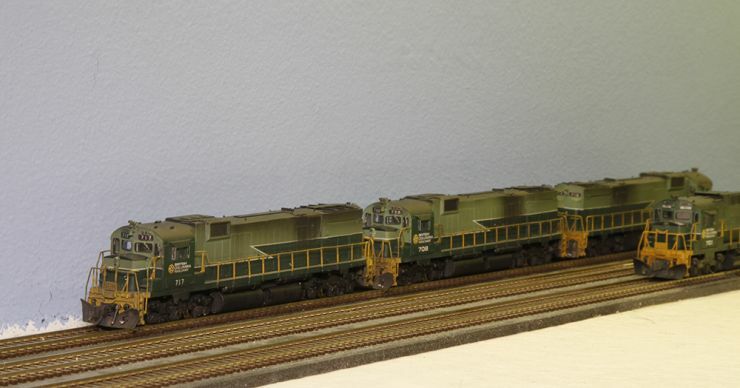 These three 200-229 series open hoppers will be used to augment my ballast train. 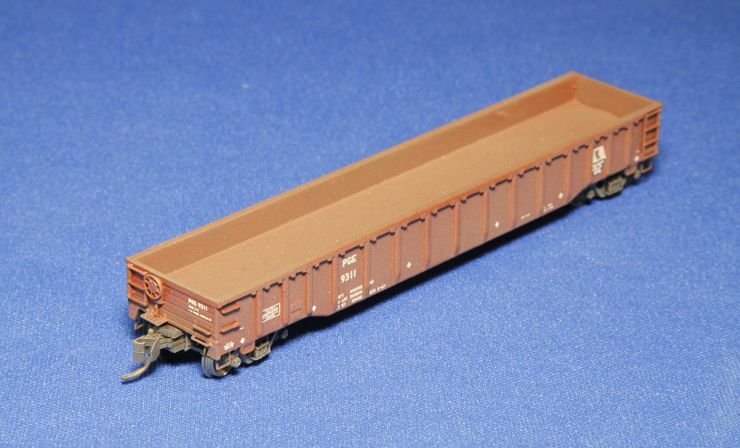 Additional new freight cars are painted and just awaiting decals. Op Session #7 was a landmark session in several respects. 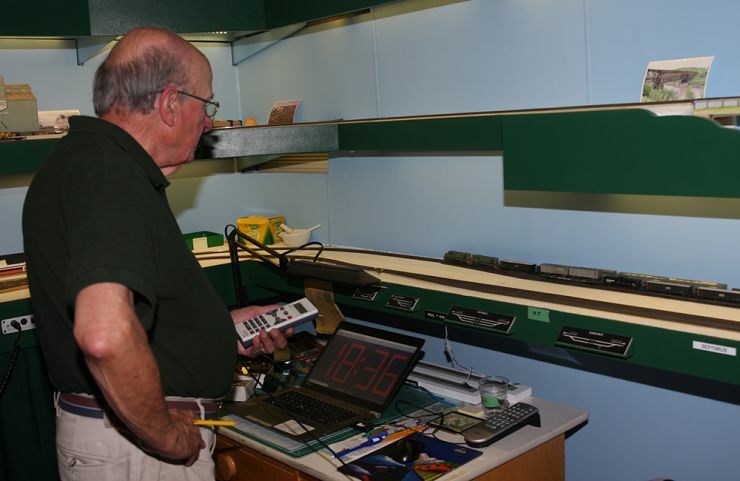 We had an all-BCR N Scale Modellers crew, we ran two additional trains and moved a record number of freight cars, and really solidified the elapsed and fast clock times for future sessions. 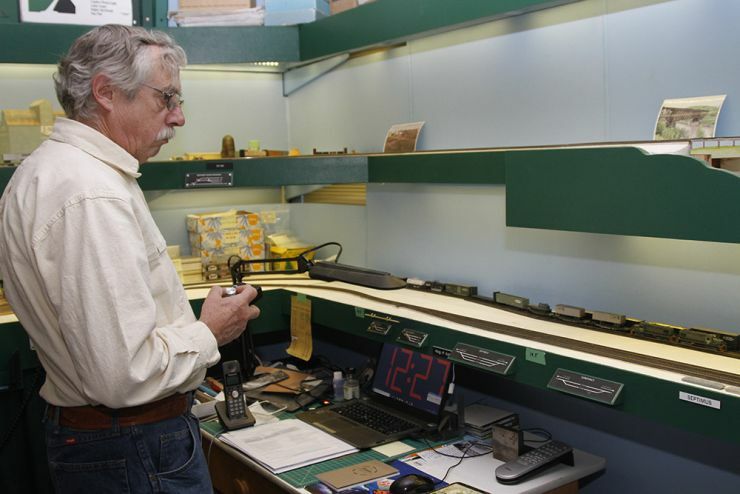 It was a special pleasure to host Andy Thomas from New Zealand, who is building a layout depicting Fort St. John in the same era as my layout. Here he runs Work Extra 581 south through Septimus, just down the line from where he is modelling. 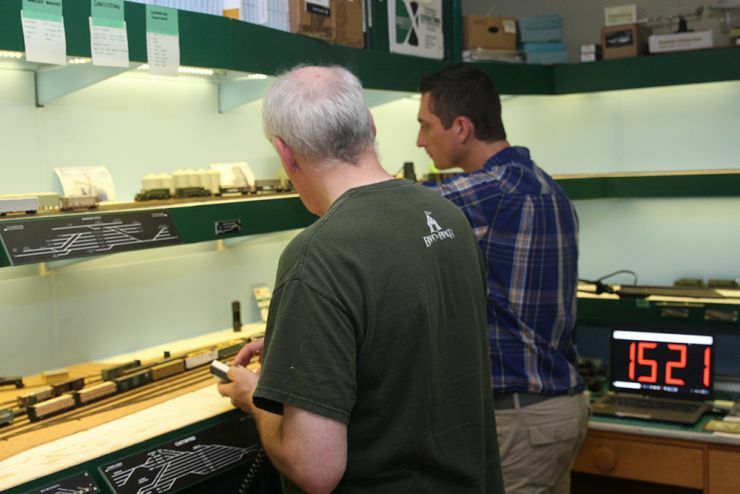 This was an eventful weekend for the layout as three new freight cars were commissioned, the annual visit from the PGE/BCR Modellers in town for Vancouver Train Expo was held, and the third op session in as many weeks was held (see above). Today I hosted some friends from the Sunshine Coast for Op Session #6. This was the first daytime session, and a break was taken at the halfway point for lunch and social. The operating system is now fairly set and working well. 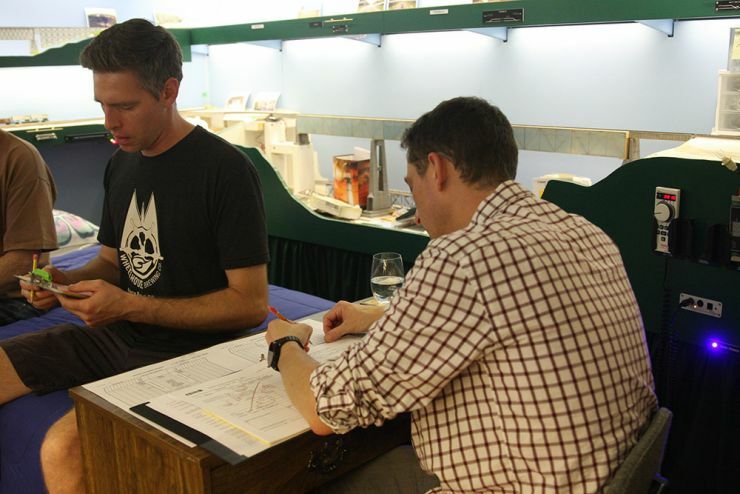 Op Session #5 was held last night with an all-new crew drafted from our local North Shore Modellers Group. Some refinements to the fast clock and hours run were tried out, and engines 804 and 812 made their operational debut. 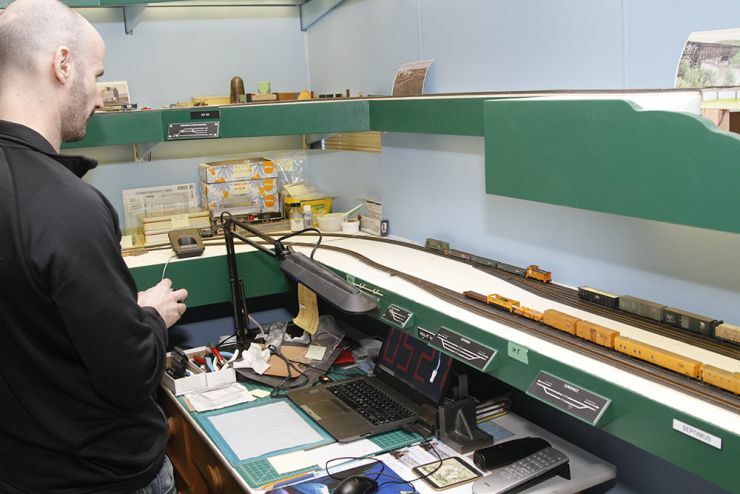 Their return will provide more flexibility in assigning locomotives during operating sessions. October 2 & 3, 2018 marked the 60th anniversary of the first trains to Dawson Creek and Fort St. John in 1958. A trio of special passenger train comprising coaches from numerous railways made the trips behind the railway's newest locomotives. 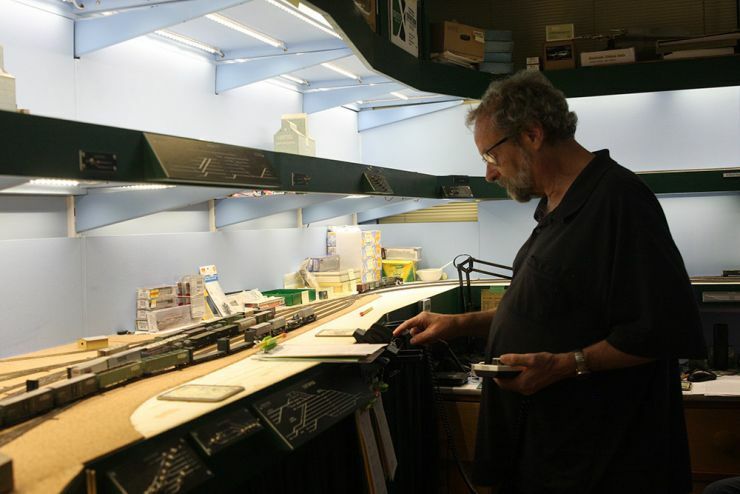 This was a busy week for the layout with a visit from our local North Shore Modellers Group on Wednesday and operating session #4 last night. This session tried out some revisions to the hours and fast clock, and some new freight cars made their debut. 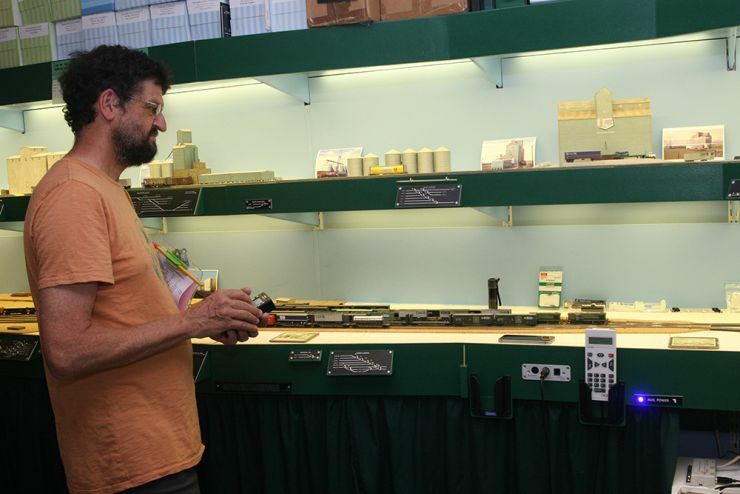 This was an all-BCR Modellers crew which was very enjoyable. 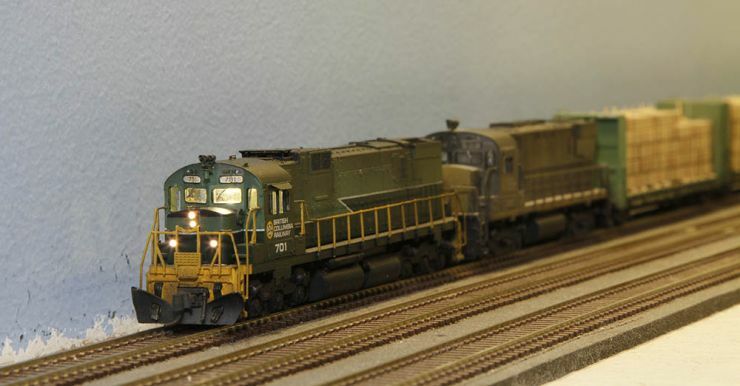 Twelve new freight cars have been added to the fleet. They are mostly other road cars and mostly ready-to-run models upgraded with body mount couplers and metal wheels, and weathered appropriately. 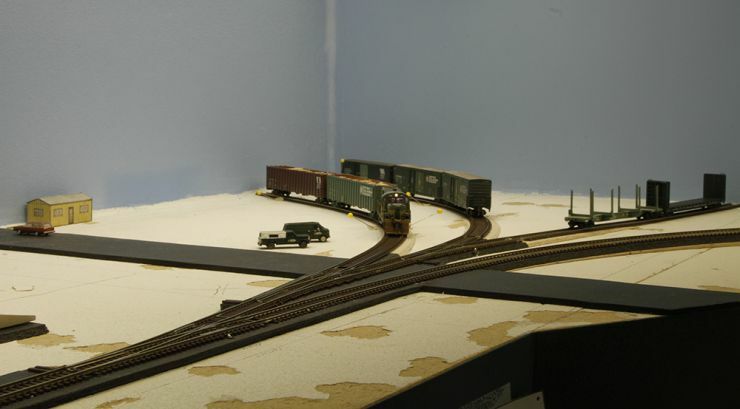 New locomotives and home road freight cars are in progress. 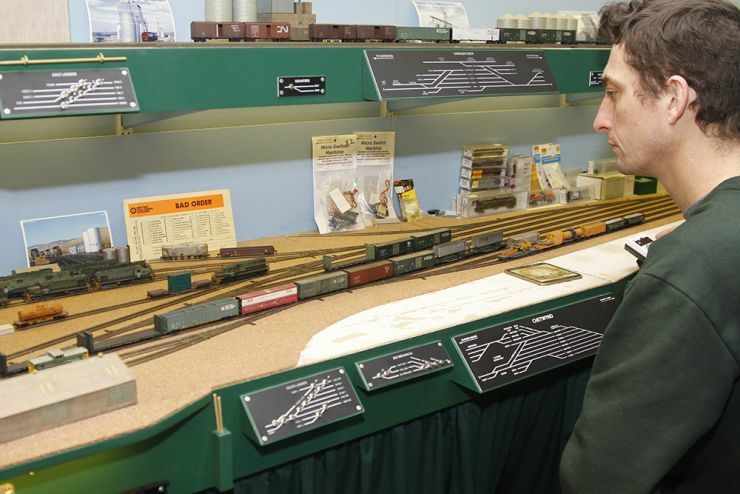 More information and photos on the Rolling Stock Pages. Having hosted several successful operating sessions, I have now completed the Operations Pages of the website which describe and illustrate the documents in use, the crew positions, and the train movements. These pages are intended to be a resource for future guest operators. I have also updated the Articles & Books page with the addition to the list of some missing articles, and images of the books I have written. The third trial operating session was held last night, the first with a four man crew excluding myself. The system of train sheet, clearances and registers seems to be working well. 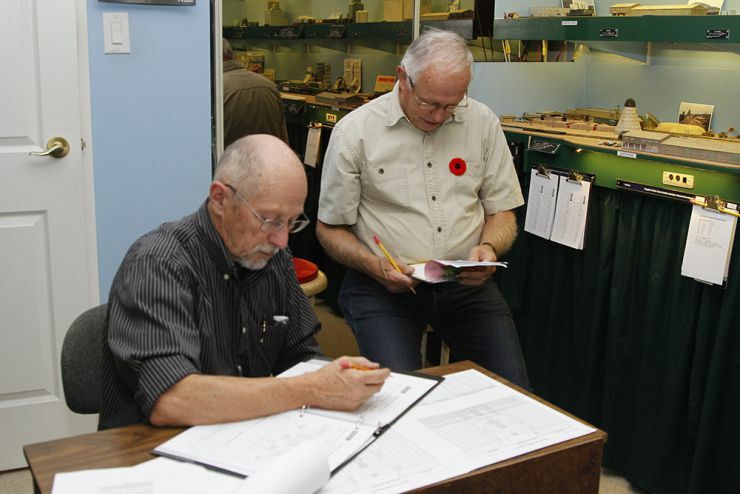 The layout hosted its second trial operating session tonight, with the addition of a third operator to run the Dawson Creek Switcher. Train dispatch sheet, clearances, bulletin, train registers and fast clock were also introduced. As these documents reach maturity I will be updating my Operations Page. A third session is scheduled for August 24. My attention will now turn to further preparations for regular operations, and replacing temporary bridge tracks with Micro Engineering bridge flex track. 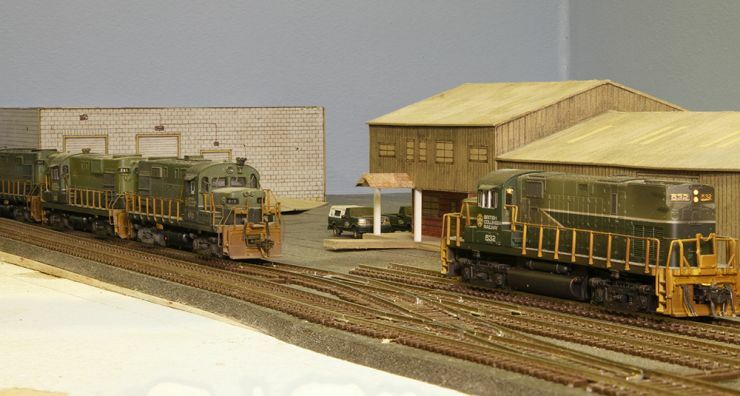 I have also been working on some additions to the freight car fleet. Here Michael switches the Canfor mill while Philippe returns to Chetwynd with the Septimus Turn. 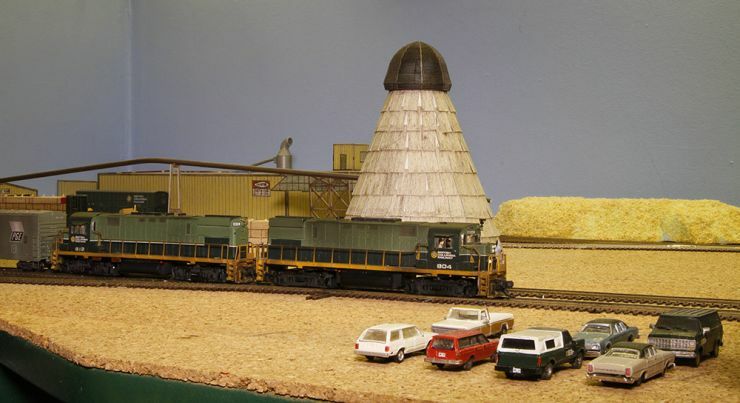 We have scheduled another trial session for July 31, for which we will add a third person and run the Dawson Switcher. 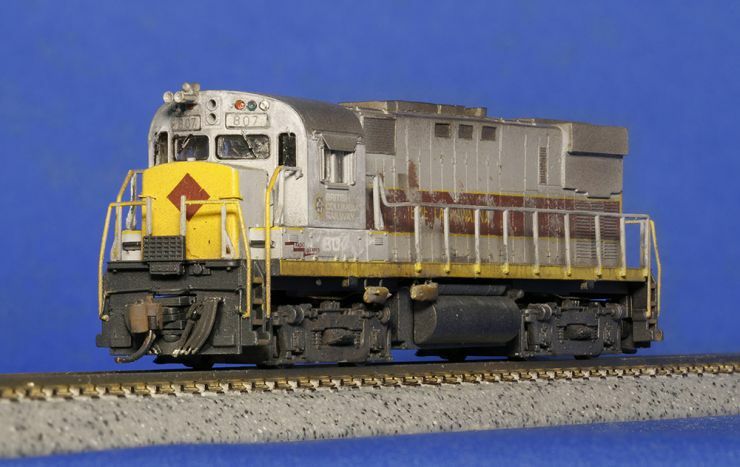 ALCO C-425s Nos. 804 and 812 have now departed for their conversion to sound. 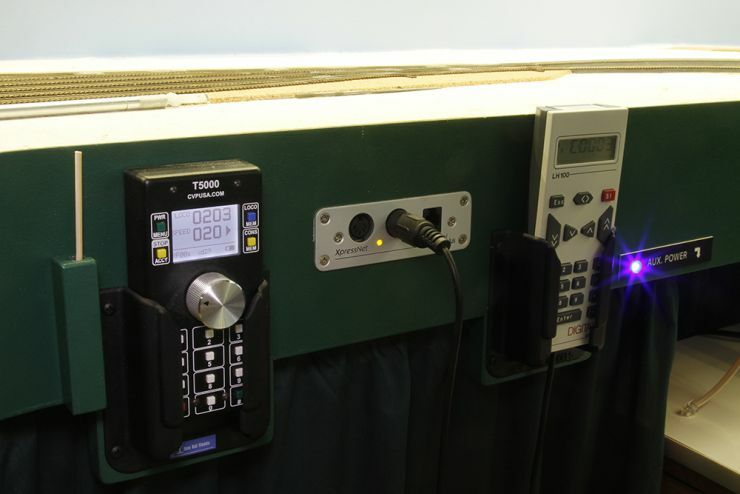 More information and photos on the Construction-Turnout Control Page. Thank you to Dennis at Imperial Trophies for printing the panels, Anthony Craig for manufacturing the panel mounts, and Doug Hicks for assistance with soldering the toggle switches. 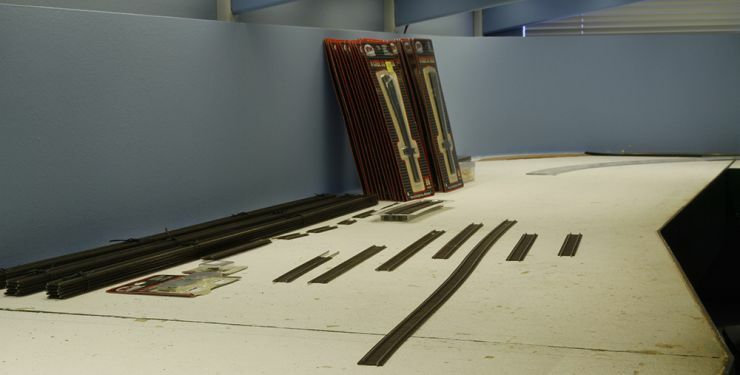 Work will now begin to install the panels and connect the toggle switches to the Singlets underneath the layout. 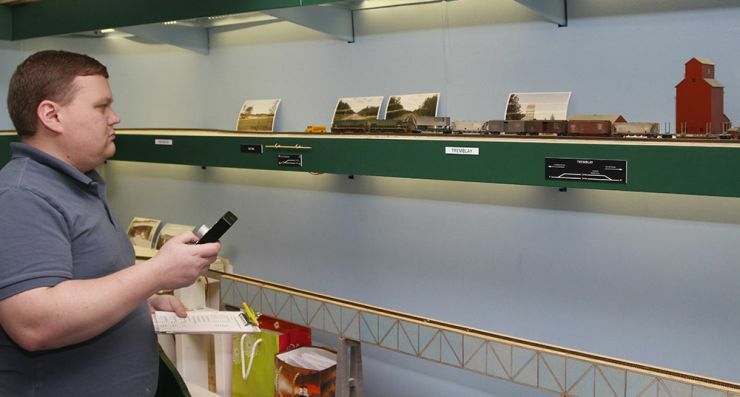 Spring Break has afforded an opportunity to complete a number of layout projects, so there is a fair amount of news to share this time around. 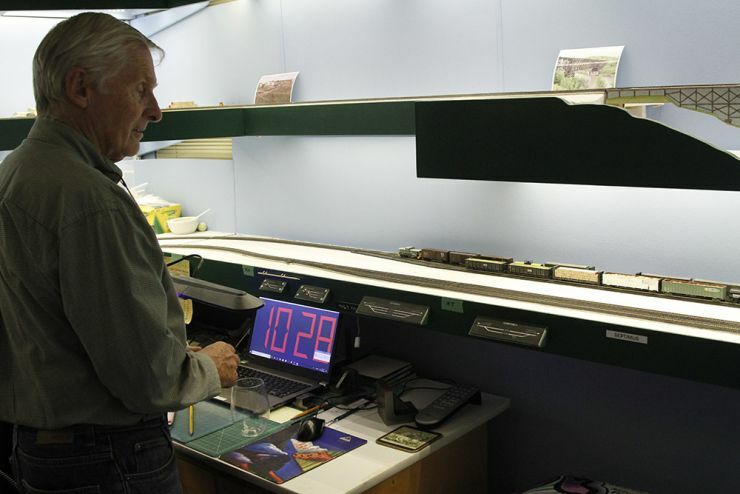 Other recently completed projects include the provision of stowage for uncoupling skewers around the layout, new power supplies for the LED layout lighting on a new shelf underneath Chetwynd Yard, painting of the fascia for the new helix cover, and LED lighting for inside the helix. I have updated the Lighting, Helix, Wiring, and Turnout Pages under Construction with additional information and photographs for these recently completed projects. 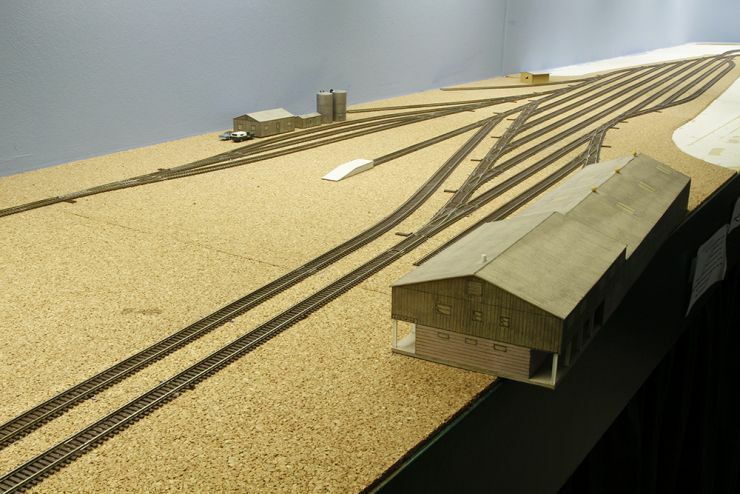 Chetwynd Yard is now very close to completion and the layout will soon be ready for full operations. All of the servos for Chetwynd Yard have now been installed, and all of the throw wires trimmed. In addition, all of the frog juicers have been installed and connected. More photos on the Construction-Turnout Control Page. 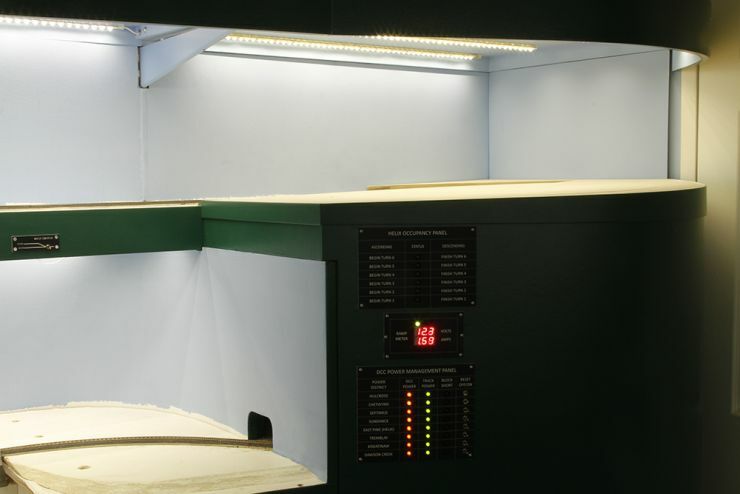 The final step is installation of Singlet drivers and control panels. 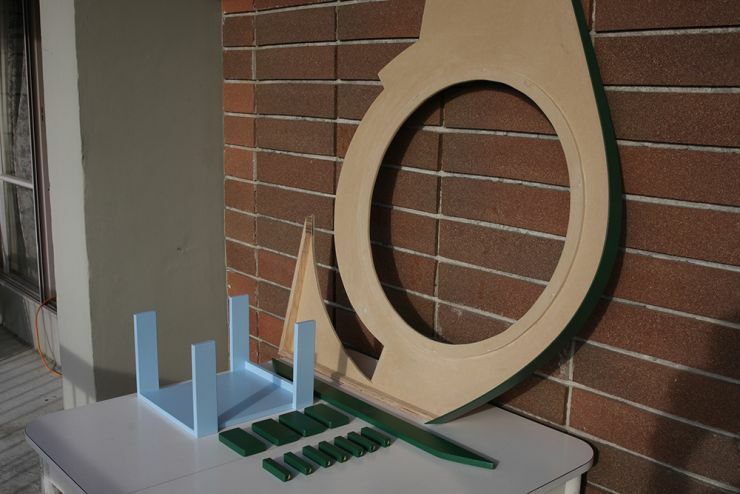 Work is now underway to prepare Singlets, control panels and toggle switches for installation. 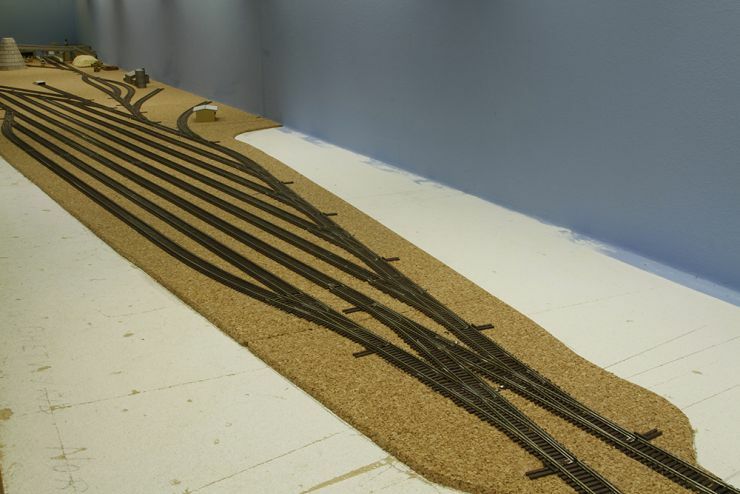 The long awaited helix cover has been completed and installed for a test fit on the layout. It will be removed for painting of the fascia portion and then re-installed. 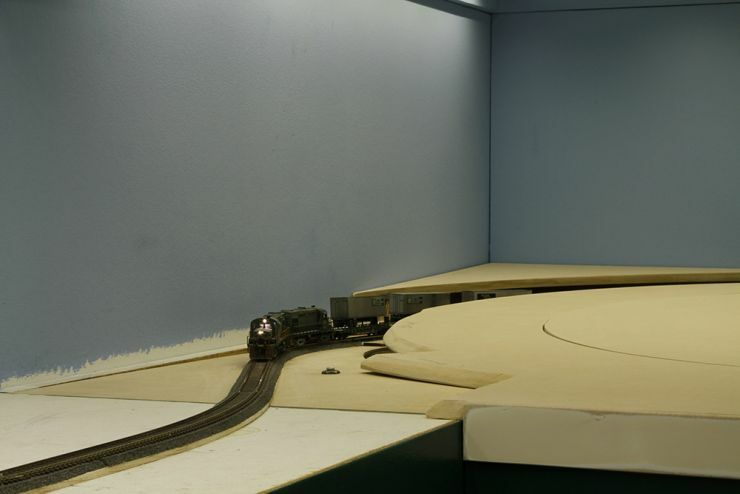 A test train with trailers on flat cars was run to check the clearance underneath the cover. More photos on the Construction-Helix Page. Work is now underway on a cover for the helix. 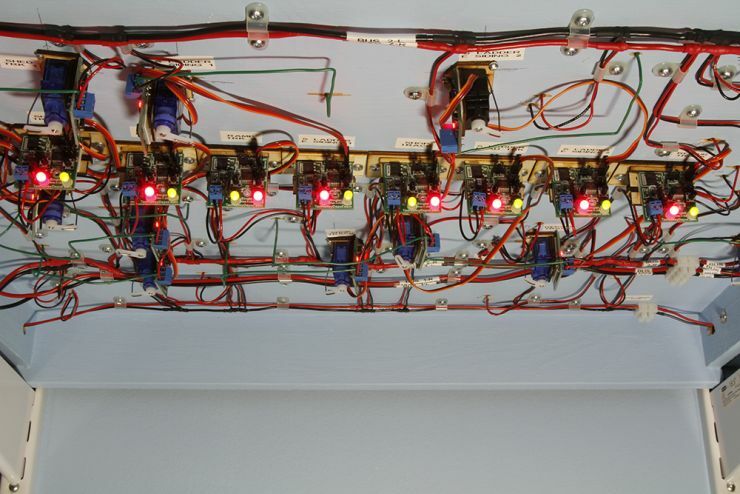 Several electronics projects are also in progress including substituting new power supplies for the LED layout lighting, extending the command bus around to the other side of the layout, and providing indicator panels for Main and Auxiliary Power. The next step in preparing Chetwynd Yard for operations will be to install the servos for the turnouts, and trim the throw wires. 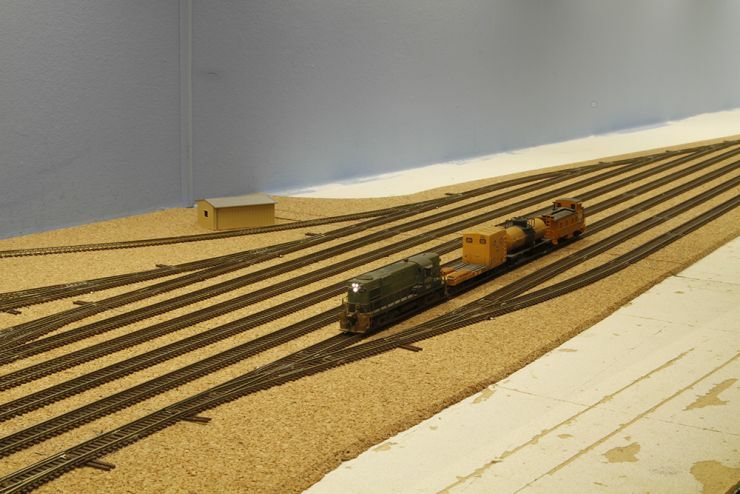 The layout has taken another significant step forward with the completion of tracklaying for Chetwynd Yard. This is the last major section to be laid; only the permanent trackage for several bridges now remains. Please see the Construction - Track Page for additional information and photographs. Work will now commence on track bus and auxiliary bus wiring underneath the benchwork. I have completed a new Maintenance Of Way car. 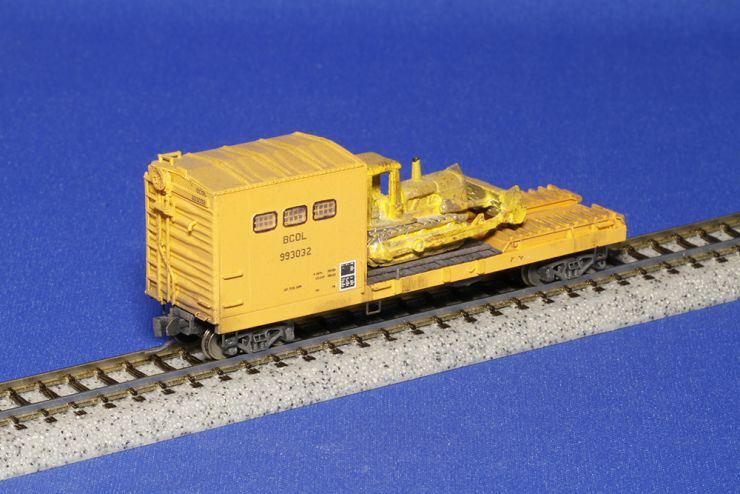 BCOL 993032 is one of the railway's unique cat tool cars. 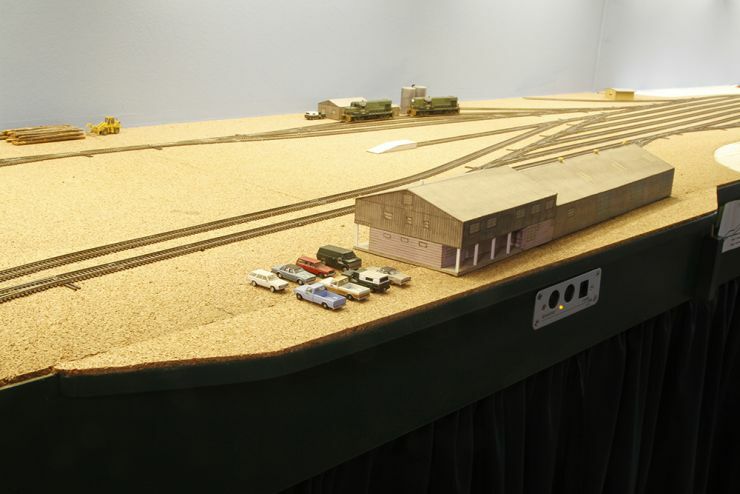 It will go to work on extending the roadbed into Chetwynd Yard. Please see the Rolling Stock Page for further information. 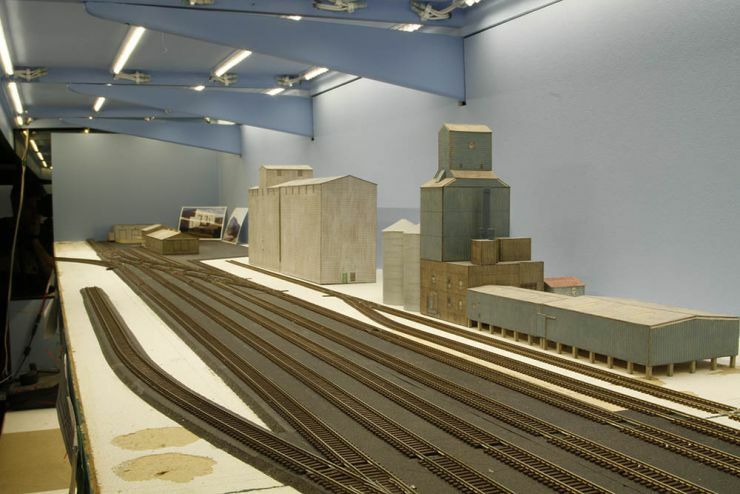 I have arrived at a preliminary track arrangement for Chetwynd Yard which closely mirrors the prototype, and which can accommodate sufficient cars and motive power to facilitate a prototypical operating session. 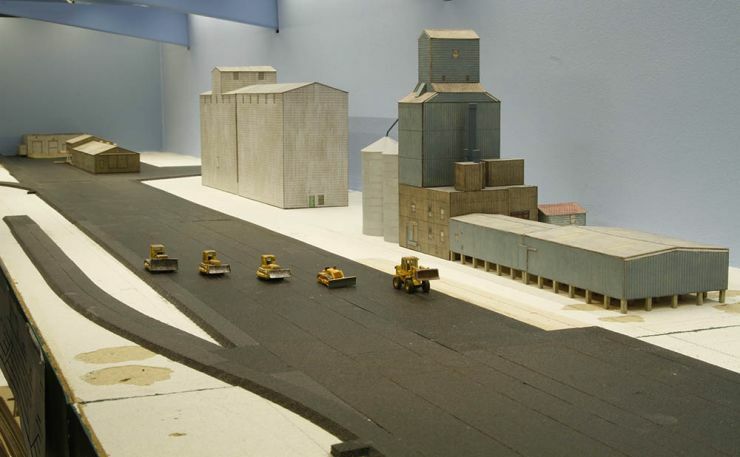 The arrangement includes a mock-up of the Canfor sawmill with mill buildings, chip loader and wood burner. 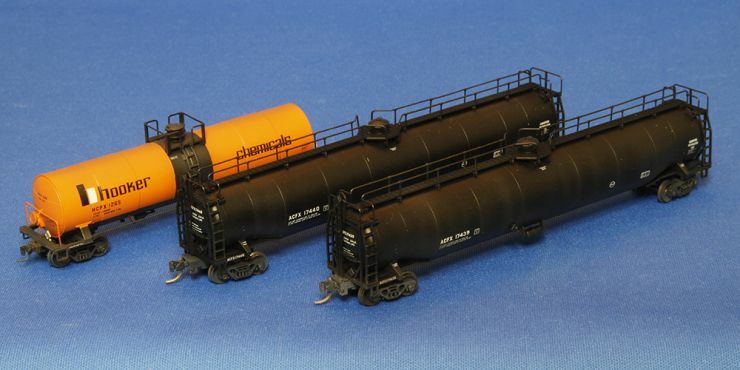 Several new items of rolling stock have been added to the fleet, including two private owner chemical tank cars, two CNWX cylindrical grain hoppers, and a dry van trailer for Caravan Trailer Rentals. The trailer was inspired by a 1974 photograph from Keith Hansen depicting a Caravan trailer at the BCR trailer ramp in Dawson Creek. The final phase of tracklaying gets underway today with the commencement of work on Chetwynd Yard. 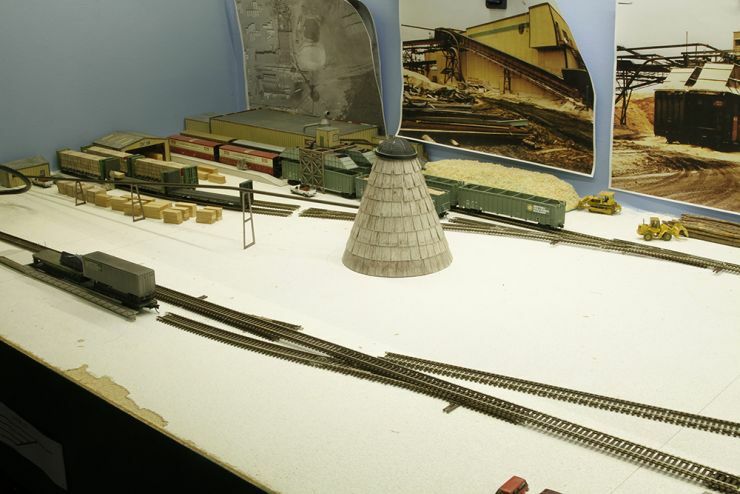 This view looking north shows the cleared benchwork and the various track components assembled for the project, including flex track, offcuts from previous tracklaying, rail joiners, and turnouts. 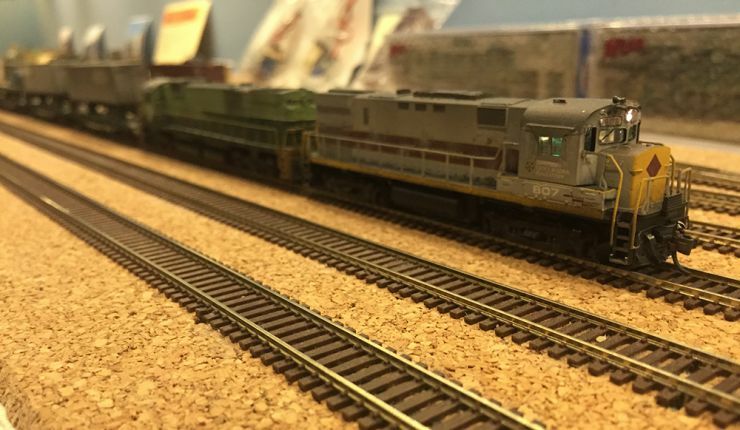 My three M-630 locomotives have returned home after a long absence. 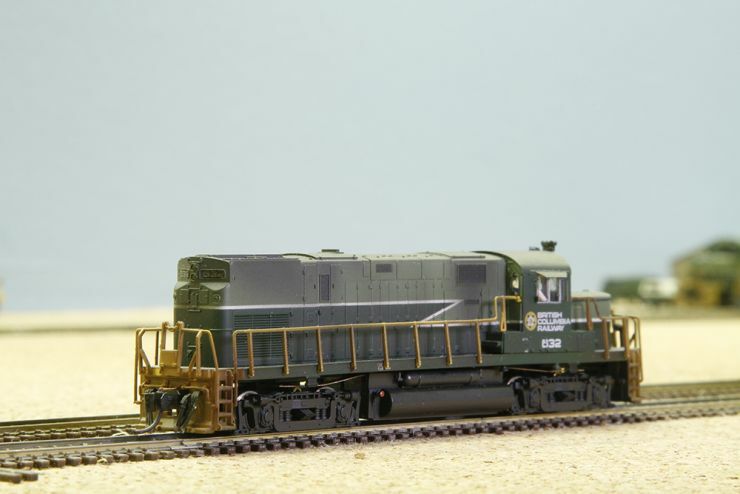 They are now equipped with ESU LokSound decoders and Star Micron speakers, and feature the latest ESU sound file for the ALCO 251 16 cylinder prime mover which was recorded from an actual M-636. They are seen here at Septimus. At right is C-630M No. 701 whose decoder has been updated with the new sound file. ALCO C-420 No. 632 and C-425 No. 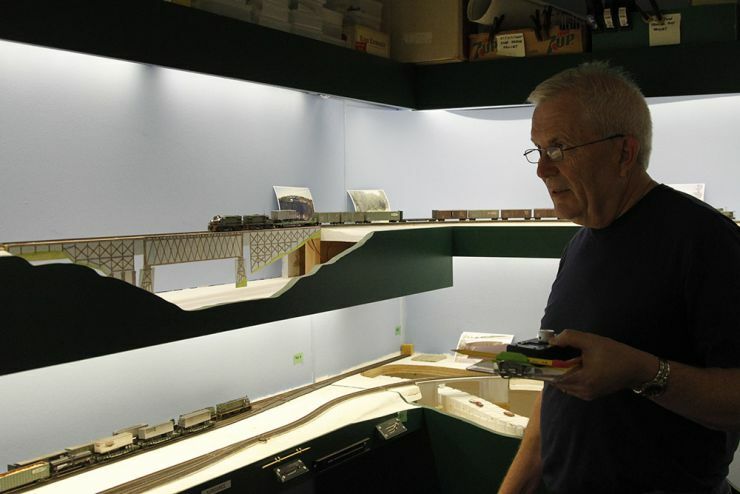 810 will be the next units to be converted and have departed the layout for a while. 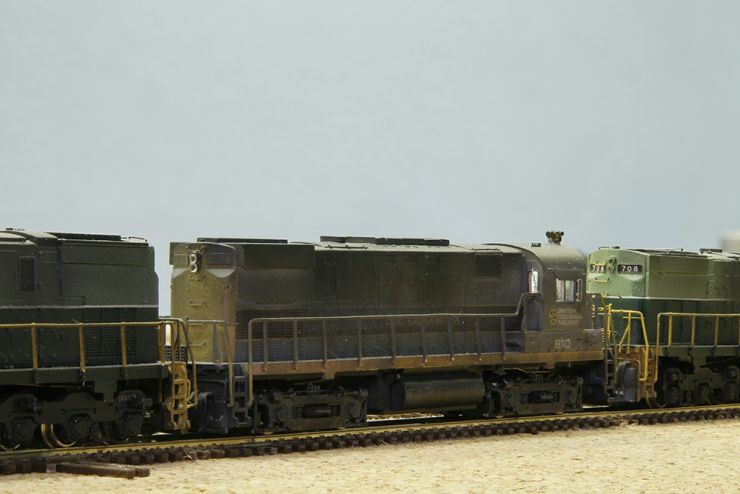 I have taken a break from layout construction to work on some new models which will soon join the fleet. I have also completed a major upgrade to the website with completion of the Motive Power and Rolling Stock pages. 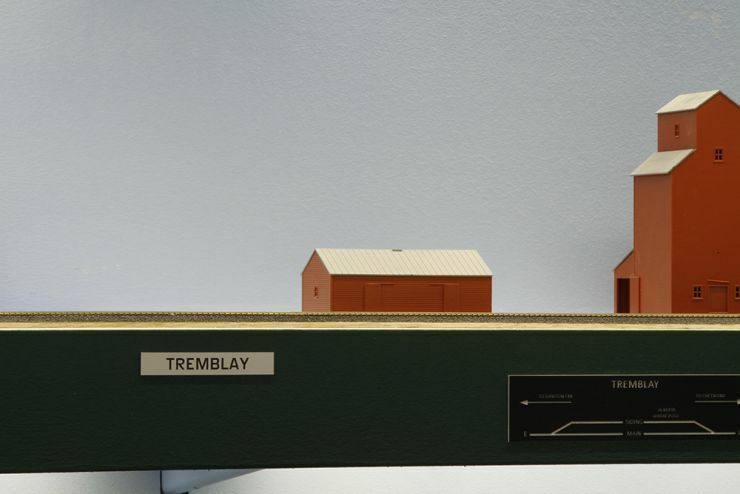 The photographs illustrate the locomotives, freight cars, trailers and work equipment which will operate on the layout. I invite you to check out these new pages. 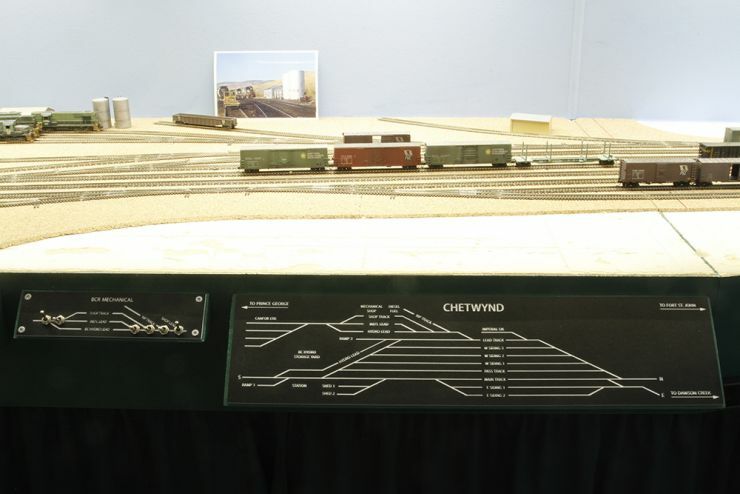 The final phase of track-laying and wiring will be for the yard at Chetwynd. 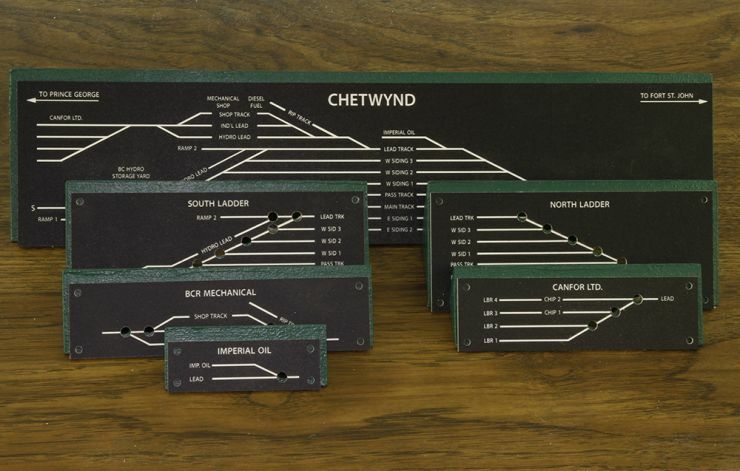 I have acquired most of the required track components and work at Chetwynd will begin this fall. 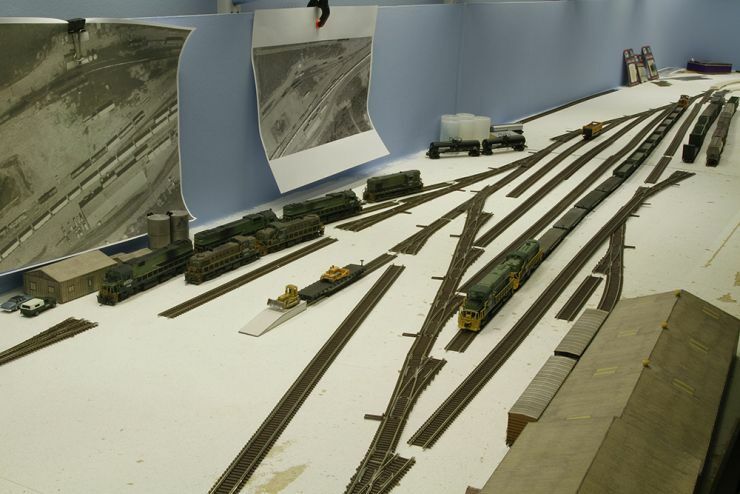 The yard at Dawson Creek is now fully operational, and several locomotives have been brought up to Dawson Creek for the testing and adjusting of turnouts. Seen here beside the station are C-420 No. 632 on Shed Track 2, and RS-18 No. 613, RS-10 No. 581 and RS-18 No. 607 on the station track. 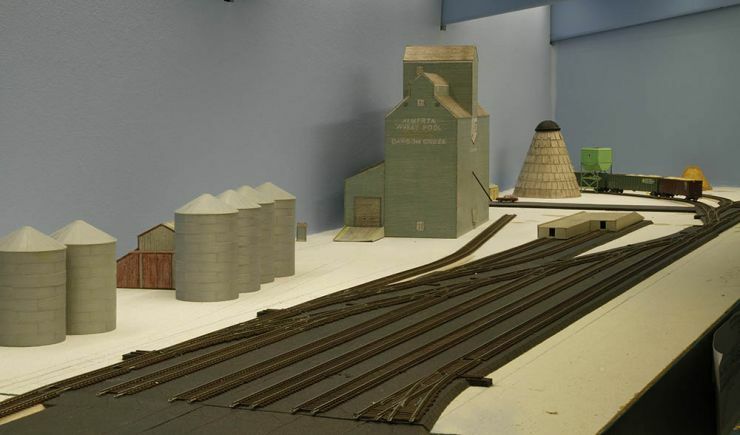 The final phase of wiring for Dawson Creek Yard is complete. The control panels and toggle switches have been installed and all of the turnouts in the yard can now be controlled from the fascia. This completes a three month long process to prepare the yard for operations and is a significant step forward for the layout. 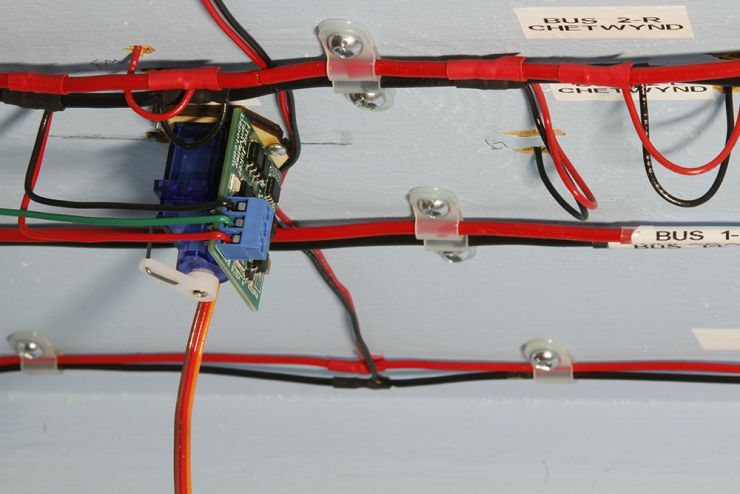 More photos at the bottom of the Wiring and Turnout Control Pages. A period of testing and adjustments will now be in order. 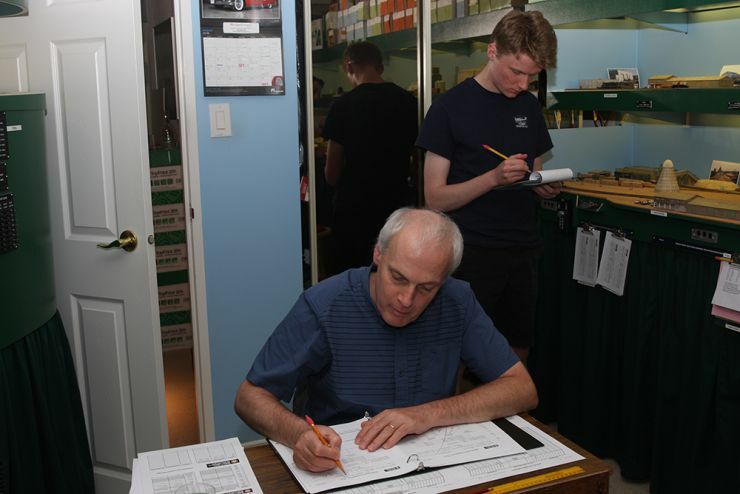 A big thank you to several friends including Anthony Craig, Doug Hicks and Michael Batten who provided assistance with various aspects of the turnout control project. The servos and frog juicers for all of the turnouts in the yard at Dawson Creek are now installed. Work will now commence to install the control panels, toggles and servo controllers. This is the final step in preparing the yard for regular operations. The first two phases of wiring underneath the yard at Dawson Creek are now complete. The track bus is in place and connected to the feeder wires for the track sections and frog juicers. The auxiliary bus is also in place and connected to the feeder wires for the servo controllers. Work is now underway to install the servos, controllers and frog juicers. Track-laying is now complete at Dawson Creek, with all of the remaining tracks for the east half of the yard now laid down. This includes the elevator lead, the spur tracks for Peace River Lime and BC Hydro, and the tracks serving the station and freight shed. I have yet to install missing ties at the joints between track sections. Several months of track bus wiring and turnout control are next. My attention now turns to the elevator track on the far side of the yard, and the east half of the yard tracks. Welcome to my new website which has replaced the old one using the same URL. The first site was online from 2006 to 2016 and reached the point where it became too difficult to maintain, or even update. This new site retains much of the content from the original site, but there has been an effort to simplify and streamline the content. 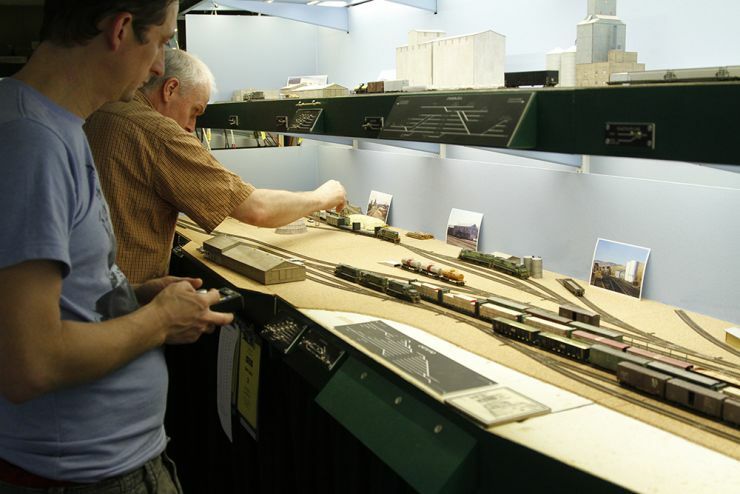 Please note that some pages (Operations, Structures, Motive Power, Rolling Stock) are still under construction and will be completed in due course. New features include a slider for photographs on the Home Page, a new page in the Construction section on turnout control, a new page listing articles and books I have written over the years, a new page acknowledging those who have assisted with my layout construction, and a Contact Page for getting in touch with me or providing feedback. Much has happened on the layout since the last update to the old site. 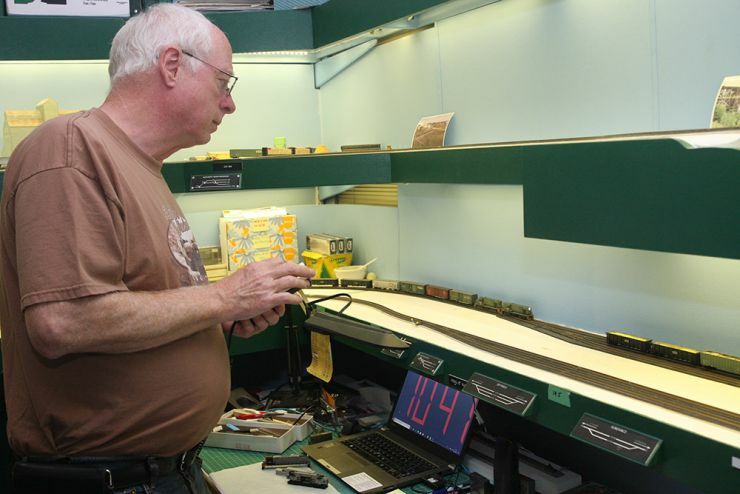 During 2016 the entire mainline was laid with Atlas Code 55 track and permanently wired. 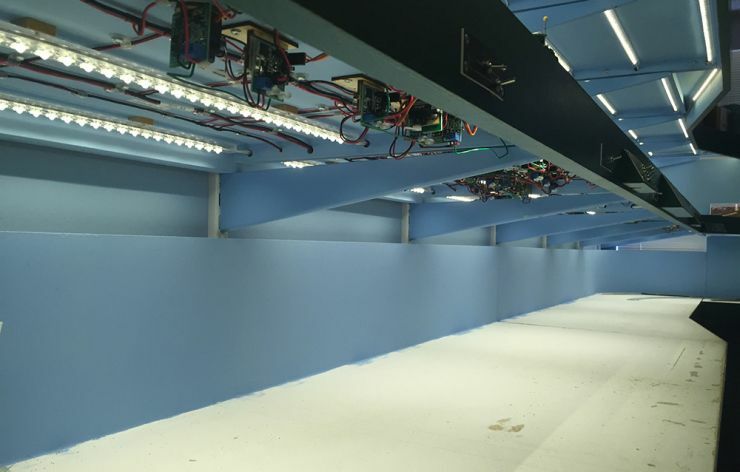 The turnouts at Septimus, Sundance and Tremblay were powered with servos and the control panels were installed. 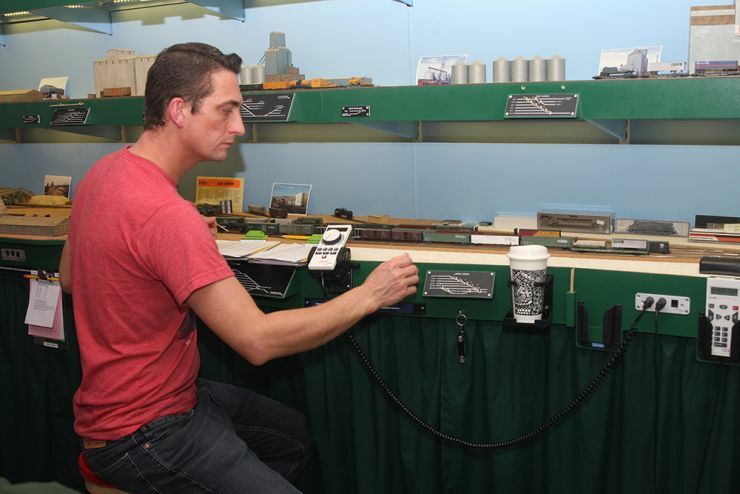 It is now possible to run work trains over the mainline and along the staging tracks at Septimus, and all of the turnouts can be operated from the fascia control panels. Several successful Open Houses were held in November 2016. 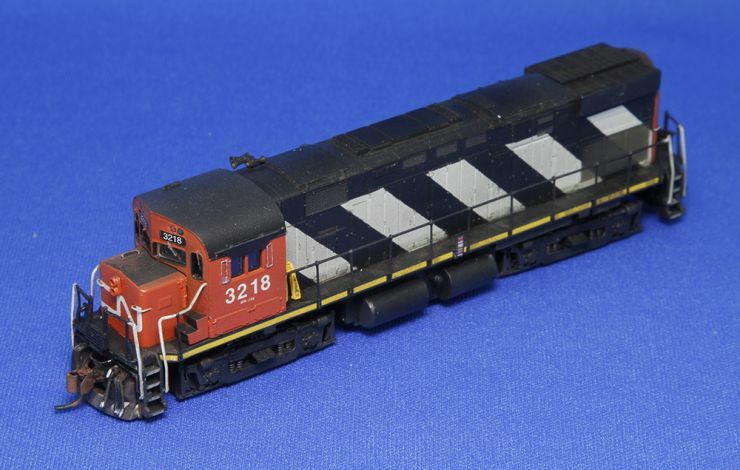 On the equipment side, I acquired nine new BCOL bulkhead flatcars as part of the second run from Prairie Shadows, and completed my fleet of BCR van trailers and flatdeck trailers. The trailers are pictured on the Rolling Stock Sub-Page titled Home Road Trailers. As we enter 2017, work is in progress to re-install the permanent bridge across the Pine River with Micro Engineering Code 55 bridge flex track, and preparations are underway for tracklaying at Dawson Creek. The scenic mats, temporary structures and vehicles have been cleared away from the benchwork and surveying for location of the yard tracks is now in progress. All of the photographs displayed on this website are either my own, or are shown with the permission of the photographer. This permission allows viewers to use these photographs for reference in personal use. It does not include permission to distribute or otherwise use these photographs for profit. © 2017 Timothy J. Horton ⁄ All Rights Reserved.